We can look at the previous generations of vehicles that have been offered on the market for our driving experience and wonder why we don’t have some models offered today. One of the vehicles that we don’t see many of any longer is the small, two-seater, sports car that can be the roadster that gives us a fun and active drive out on the roads that we travel. The Honda team has stated they will likely never make the S2000 again and there are several reasons why this has become the place we are today. Think about the market of the 1970s until the 1990s for a minute. Nearly every brand had at least one small and active sports car that was used for the driving fun we wanted to enjoy. The roadsters weren’t limited to the higher-end names such as Porsche for the driving experience and tuners were in their element making these cars faster and more powerful than how they came from the factory. You could almost think the automotive world had taken a “safety be damned” approach to the vehicles offered, but certain aspects of safety hadn’t been developed for the automotive market yet. One of the largest reasons for the lack of roadsters on the market and why Honda will likely never built another S2000 for us to drive is because of the difficulty involved in the R&D needed to make these cars capable of offering the drive we want. Emissions standards, safety regulations, and a movement toward larger models have made it less likely we’ll ever see many of these cars offered on the roads again. The overall cost of building a roadster that meets all the necessary regulations outweighs the sales and the profits expected. Why then do we see models from other brands? There are only a few roadsters offered on the roads today and those are typically models that don’t have many differences across trim levels to keep them simple in order to make sure these vehicles can be as profitable as possible. 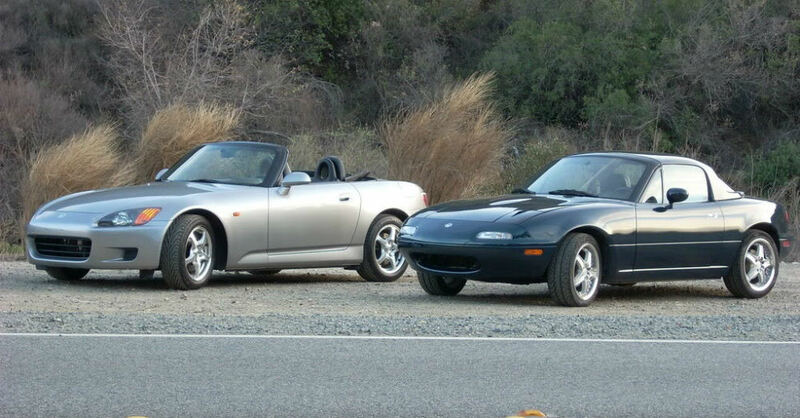 We see the Mazda MX-5 Miata and Fiat 124 Spider, which are both essentially the same car with different body and styling offered. This collaborative effort certainly helped to reduce the R&D costs in order to make sure these two cars could be offered on the market. While we don’t know if a similar partnership could be struck to bring back the Honda S2000, this car is likely not going to be offered. Instead, we can look to the hot hatches that are being built along with the subcompact crossover SUV models that are offered to give us the driving excitement we want for the ride along with some of the versatility we need to make these the right vehicles to drive. The roadsters may be dying because they are impractical to drive, but what we see in their place could be right for the market for the next few generations.